When it comes to launching your marketing campaign, the first consideration is impact. The very next is whether you have the budget to get the required impact. Whether you are an agency, marketer or small business owner, outdoor advertising (OOH) delivers value and results with one fell swoop. But how much does it cost to best utilise the world’s oldest advertising medium? 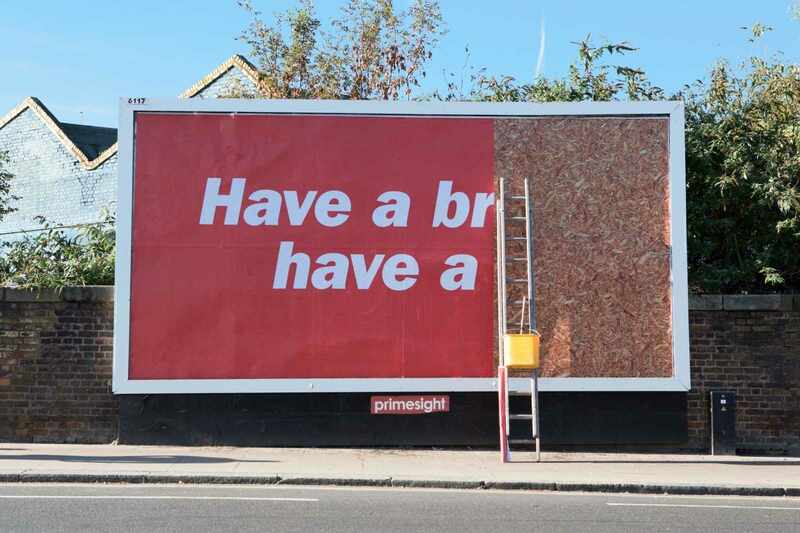 Whatever you call it – outdoor advertising, out-of-home or simply OOH, the principle is the same. OOH is the advertising you come across when outside of your home. As a result, it’s a fairly broad medium. Think roadside billboards, bus shelters, shopping centres and more. If you’re looking to add outdoor to your marketing campaign, the size, location and length of ad play are some of the things that will affect what you pay. The easiest and most cost-effective way to purchase OOH space is through an online booking service like Bubble Outdoor. With over 80,000 National ad spaces in every size and place you can think of – Bubble has you covered. But when it comes to choosing where and what, we’ve put some ideas together to give you an idea about how to budget. How much does OOH cost? There are several factors that affect outdoor advertising costs, including location, size, length of play and whether you have your own design ready to go or need some help. Typically, a standard billboard costs £400-£500 for 2 weeks and smaller advertising panels like bus stop shelter advertisements cost £1800-£2220 for 2 weeks. When we talk about standard billboards, we’re talking traditional paper and paste billboards. But digital is becoming increasingly popular. 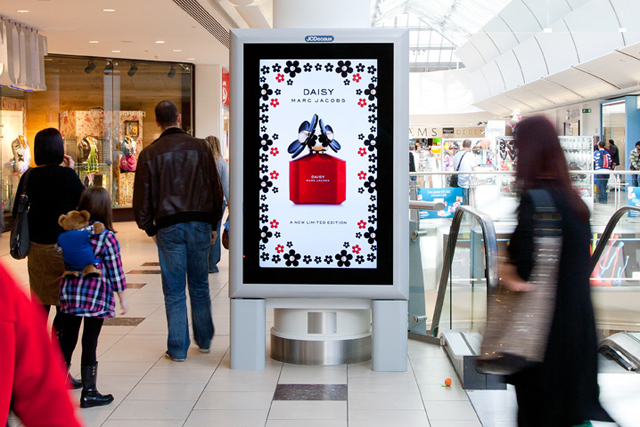 Largely due to its flexibility and the fact that DOOH can capture attention in a way that drives interaction from your target audience. Not sure which format is right for you? Here’s a guide to the pros and cons of the different types of outdoor advertising. Meanwhile, below you’ll find a cost comparison of the lot to help you get started! 6 sheets are one of the most popular sizes and can be found almost anywhere. When you learn what 6 sheets are – you’ll start seeing them everywhere. They are the most numerous size of outdoor advertising in the UK. When it comes to local messaging, 6 sheets dominate in the heart of towns and cities, making them the ideal choice. You can book your own 6 sheet campaign from £234 per two weeks, including print and placement. 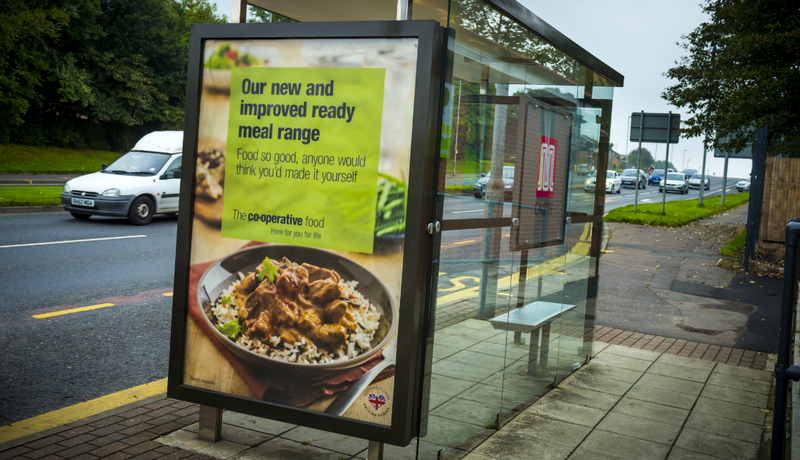 Did you know there are now over 4000 digital bus shelters across the UK? 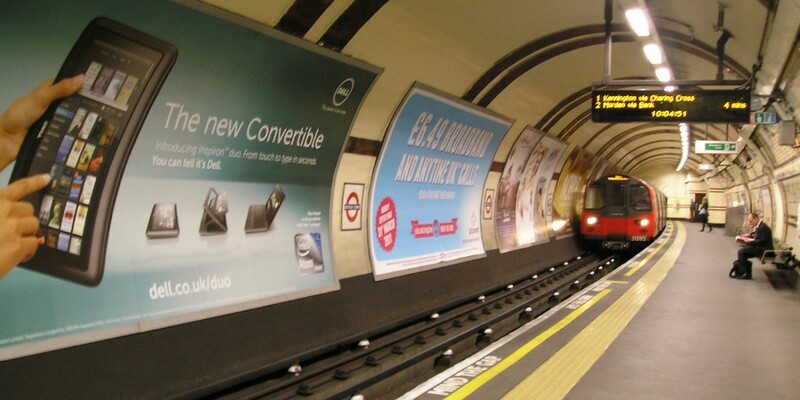 Just like with Rail and Underground OOH options, you get a captive audience, with panels sold more like online ads! You can choose the number of plays on a group of screens, to target your audience at prime locations across the country. Packages of 100,000 plays of your creative start at just £5,000. Billboards, or ‘big posters’ come in two sizes. Choose from 48 sheets (20ft x 10ft) and 96 sheets (40ft by 10ft) to give your brand the space it needs to sing. These beauties are spread across the country and are ideal for making that big announcement. Most areas, from small towns to big cities will have the billboard space you need to make an impact. Billboards mean the traditional vinyl poster version of this size. They can also come as backlights or digital in the same size for an extra ‘wow’ factor. For the 48 sheet, you’re looking at paying from £484 per two weeks, including print and placement. For the 96 sheets per two weeks, including print and placement, you’d pay from £884. These premium billboards are lit from behind and printed on a single piece of vinyl. This gives a seamless display with the same mega sizes you can expect from a traditional billboard (48 sheets or 96 sheets). With backlight, you can also find some in portrait sizes, Mega 4’s and Mega 6’s. If this is the campaign that really needs to make a splash – then this is what you need. Backlight billboards are big, bold, high quality and exactly where you need them – in front of your target audience. To make the most of this premium format, the price comes down to size. For 48 sheets you’d pay from £2000 per two weeks, including print and placement. 96 sheets are priced from £4500 per two weeks, including print and placement. Then portrait Mega 4’s are priced from £2500 per two weeks, including print and placement, while portrait Mega 6’s are from £4000 per two weeks including print and placement. When it comes to digital OOH, the billboard is the biggest and best. It’s up to you to choose which size and shape best suits your goals. Your options include Portrait Digital Super 6’s, Landscape Digital 48’s and Digital 96’s. Digital billboards are fantastic if you want a reactive campaign that you can integrate into live data feeds. You can use this mega-space to display changeable things like the weather, traffic updates or countdowns to sales periods. The best thing about digital, is you can buy flexibly to suit your target audiences ideal time, like specific mornings, afternoons or evenings, a day, a week or longer. They’re also extremely affordable, priced from just £80 per day. The smaller sibling of the digital billboard, you’ll find this size everywhere. With all digital options, you have the unique ability to choose flexible display periods. Available in golf clubs, malls, post offices, petrol stations and many other places, these premium displays are sometimes called D6’s, and they’re ideal for targeting local audiences. Even better – these screens are extremely affordable, available from just £100 per two weeks. There are over 20,000 phone box locations across the UK. These traditional gems can be found almost anywhere – whether you’re heading for the seaside or shivering on the high street. Phone Boxes are great for long-term branding opportunities, as they’re low cost with big impact. You can book phone box advertising from £143 per two weeks, including print and placement. Anyone who has spent any time in malls or shopping centres knows that most shoppers are there with buying in mind and time on their hands. If you want to communicate a clear message with a large number of consumers in the mood to buy – this is the place to do it! You can pick classic printed posters or state-of-the-art digital screens, use mall furniture, Adlifts or banners to get your message across. Advertising in retail heaven is priced from £234 per 2 weeks, including print and placement. What better than the moving messenger board of towns and cities – buses! These big beauties are perfect for branding and area targeting. Although not ideal for location-based or directional campaigns, since you can’t buy buses on individual routes. What is great about buses, is all the different sizes and spaces you can purchase. From smaller posters on the rear to wraps that cover the whole thing. It’s hard to be missed on bus OOH. Because there’s so much variation with sizes and bus routes, it’s hard to give an average price for this service (or pinpoint them on the map!) Contact the expert Bubble team for more information. The London taxi has made its way across most major cities now. You can use taxis to reach your ideal audience in Birmingham, Bristol, Cardiff, Coventry, Edinburgh, Glasgow, Leicester, Liverpool, London, Manchester, Newcastle, Northampton, Norwich, Oxford, Peterborough, Reading and Sheffield. Taxis give you great coverage, and there are so many ways to use them to suit your campaign. 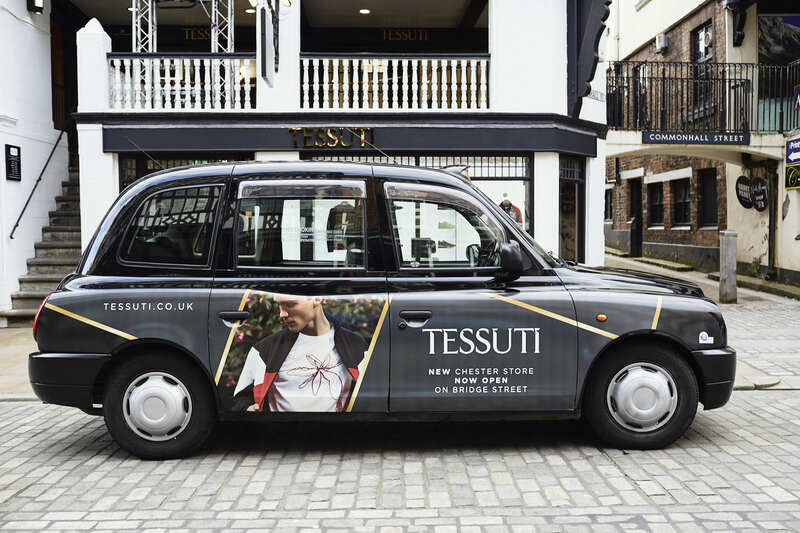 You can do a full wrap, supersides or digital taxi top – whatever suits! Because taxi offerings are so varied, it’s hard to narrow down a price for you here. Best to speak to the Bubble team directly if taxi OOH is the one for you. The underground is a brilliant way to reach a captive audience on their daily commute. You can choose underground and metro stations in London, Newcastle or Glasgow – as the rapid transit network extends to other cities outside London. Whether you’re booking a single site or rolling out an area-wide campaign, advertising on the underground gives you that all-important brand recall. We’re creatures of habit after all! Because underground advertising can be anything you want it to be, it’s hard to give you an average price here. Just contact Bubble – we’re happy to help plan something to suit you. As the urban areas get more and more busy (and expensive), even those who are cashed up are heading into the country and commuting. Rail is now the way a significant part of the country get to work, especially in London and the South of the country. Since the wealthy commuter audience peaks at open and close of business, your ad will get all the target audience attention on the way to and from work. Potentially leaving a bored office worker time to Google on office hours? For special events you can take over the whole station, or keep it subtle with local ads promoting small businesses. There’s something for everyone. For something to suit you – get in touch with Bubble’s planning service directly for a custom solution. OOH advertising offers a range of formats and targeted locations to capture the attention of your ideal audience. As digital allows more and more customisation of the locale, savvy marketers can use mobile, wireless, and digital OOH technologies to offer creative and innovative ways to interact and transact with consumers. 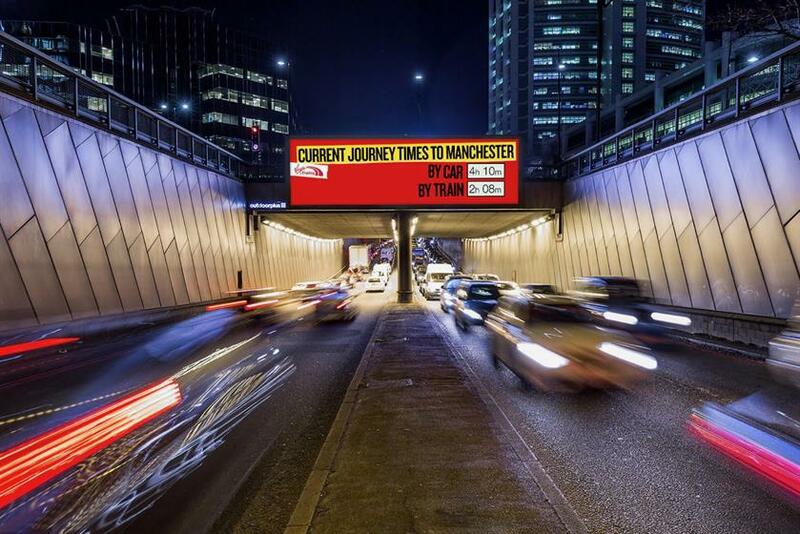 When it comes to brand awareness, and targeted, relevant advertising based on where your target market lives, works and plays – OOH is highly targeted. The design of your outdoor advertising is everything. No matter how strategic you’ve been with the location of your ad – your creative should never be forgotten. If your ad isn’t communicating effectively, it’s not working as hard for you as it should be. The cost of a billboard design should be factored into the budget for your OOH campaign. Crafting a message that connects in format, location and language is the key to effective OOH. It’s worth hiring a designer with extensive experience in creating billboard ads. This can cost from £150-£800. Bubble offers a design service for £100 +VAT when you book advertising space through our website. Or if you’ve already nailed that high-impact creative – just upload it as a PDF when you place your order. Ready to place your order? Bubble’s filtered search makes it super easy to get started. Click here to start searching for your preferred format on the Bubble Marketplace.